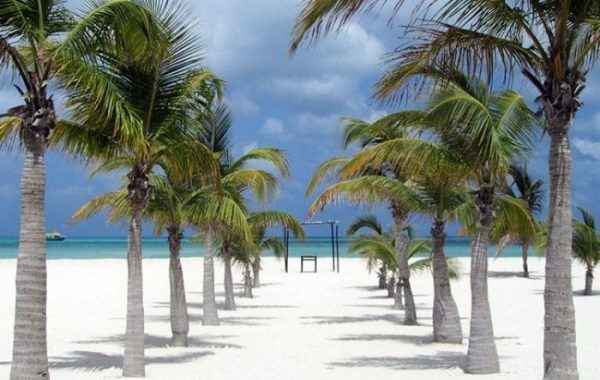 Passion Island is a private island located several miles north of Cozumel, Mexico. This is one of the most popular tourist destinations in the region. Isla Passion, as it is called by the local residents is near downtown San Miguel and Cozumel’s International Airport. When visiting Passion Island Cozumel, you will find the attractions and activities there; Accommodations such as Presidente Cozumel Resort are found on Cozumel. One easy way for tourist to visit Passion island is to purchase a package deal; to get there involves taking a bus from downtown San Miguel or the nearby cruise ship docks to Baja Ciega. Once there, you will catch a ferry to Passion Island; visitors can expect to enjoy the breath-taking white sand beach and a delicious Tex-Mex style buffet. Although there are a few small shops selling souvenirs and other services, the biggest attraction is clearly the beach and the beautiful blue waters of the Caribbean. However you arrived in Cozumel, you wont be disappointed when visiting Isla Passion.